Leinster star Ross Byrne had a discussion about the possibility of leaving Leinster in the summer but it was never on the cards. Ahead of last year's Champions Cup semi-final against the Scarlets, Joe Schmidt and David Nucifora met with Leo Cullen to ask if Joey Carbery or Byrne would be interested in heading to Ulster. It became clear that neither were interested and Carbery ultimately ended up heading south rather than north to join Munster. For Byrne it was no-brainer. 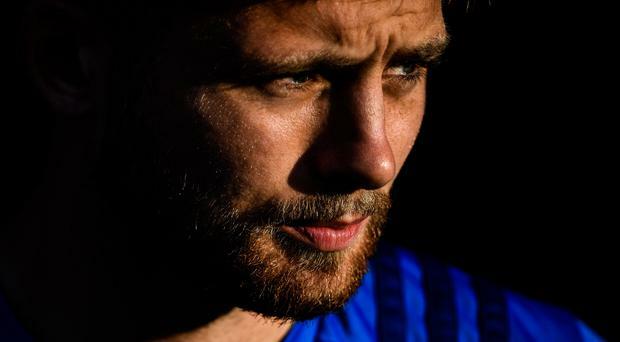 He made 26 appearance for Leo Cullen's men last season (19 as a starter), played for 1,560 minutes and played a significant role in a number of big games. Speaking as a guest on The Left Wing, Independent.ie's rugby podcast, he said: "I wasn't offered anything, there was a conversation of potentially going elsewhere but I was very happy with how I had gone over the last year or two years. Leinster is where I wanna be. "I've grown up always watching Leinster, always wanted to play for Leinster so it was a pretty easy decision for me. "With the amount of minutes I had played that season, it didn't really make any sense for me to want to go anywhere else. "From a rugby perspective, I was playing all the minutes anyway." The 23-year-old realises he is playing second fiddle to Sexton in terms of selection but is focused on closing the gap between himself and the Leinster and Ireland talisman. "Johnny was the best 10 in Europe last year and arguably in the world. It's a case of how can I get to that level as quickly as possible," he added. "There are similarities but I'm not Johnny Sexton. There is a lot from his game that I'm trying to take and having him there every day, trying to learn from him or eve n just watching him to see how he runs different lines or how takes the ball to the line and decisions he makes, that's unbelievable because I'm not going to get that anywhere else. "I'm getting that first hand but, for me, it's about closing that gap as much as possible so I can get to a level where I'm right up there in Europe as well." As well as picking Sexton's brain, Byrne can also count on the advice of Argentina legend Felipe Contepomi. "He's been a massive help for me already this year, he's constantly nagging me, constantly go at the line and stuff but it's brilliant, it's exactly what I need."